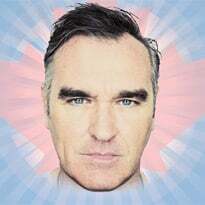 It's been just over a month since the short list for the highly coveted 2009 Polaris Music Prize was revealed. Those selections were narrowed down from a long list of 40 to the ten Canadian albums that have the chance to take home the $20,000 prize. In case you hadn't heard, September 21 was previously announced as the date for Polaris's invite-only, industry-exclusive awards gala, at 9 p.m. EST at Toronto's Masonic Temple, one of the city's most infamous former music venues and now home of MTV Canada. In a press conference today (August 17), Steve Jordan (founder and executive director of the Polaris Prize) divulged more details about the upcoming gala, announcing the final grand jury and confirming everyone will get a chance to see the night's events. For the third year in a row, the event will be hosted by CBC Radio 3's Grant Lawrence but for the first time ever the gala will feature performances by all ten nominated artists. "Each year we cross our fingers in the hopes that all of our short-listed artists can be present to bask in the glow of their nomination and share the love with their fellow nominees," Jordan said in a statement. "We're extremely excited that the scheduling Gods have allowed for this. It's going to be an unforgettable night of music." Jian Ghomeshi from CBC Radio's Q, Alan Cross from Explore Music, MTV Canada's Johnny Hockin, Matt Wells from MuchMoreMusic and author Rob Bowman have been revealed as gala presenters. Also, from the original 182 members of the Polaris community who voted for the short list, Jordan has announced his 11 final grand jury picks who will decide this year's prize winner. These jurors include Bryan Acker (Herohill), Stuart Derdeyn (the Province), Mary Dickie (Elle), Brad Frenette (National Post), Nicholas Jennings (freelance), Robert Mersereau (CBC TV), Brendan Murphy (Hour), Mia Parang (Musique Plus), Ben Rayner (Toronto Star), Brad Wheeler (the Globe and Mail) and Lisa Wilton (Calgary Sun). 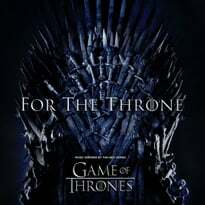 For those of you not lucky enough to have received an invite to the party, the gala will be broadcast live on Sirius Radio channel 86, CBC Radio 3 and on Muchmusic.com. MuchMusic will also rebroadcast the taped live show on September 26 at 9 p.m. and 12 a.m. EST. 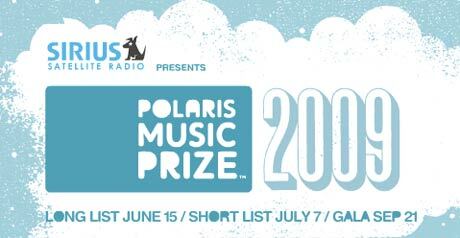 To refresh your memory, previous Polaris winners include Caribou, Patrick Watson and Final Fantasy.